Characterized as a 'strange creature that hatched from an egg' and noteworthy for his wide open saw-toothed mouth, Domo has been one of the most distinct Japanese animation character in recent years! If your young girl has a passion for all things 'kawaii' (that's 'cute' in Japanese! 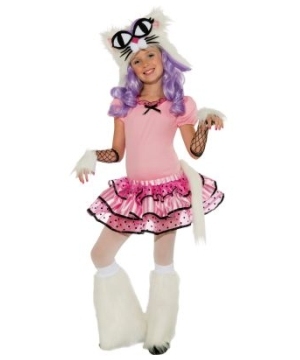 ), she'll be guaranteed to go gaga for this Domo Tutu Dress Girls Costume! Part of Domo's appeal is his off-the-wall attitude and penchant for endearing facial expressions. According to the comic book series and television clips, Domo resides in an underground cave with his wise old rabbit friend, Mr. Usaji; and really, really loves TV! Take a bite out of the Japanese Animation phenomenon with this quirky costume! 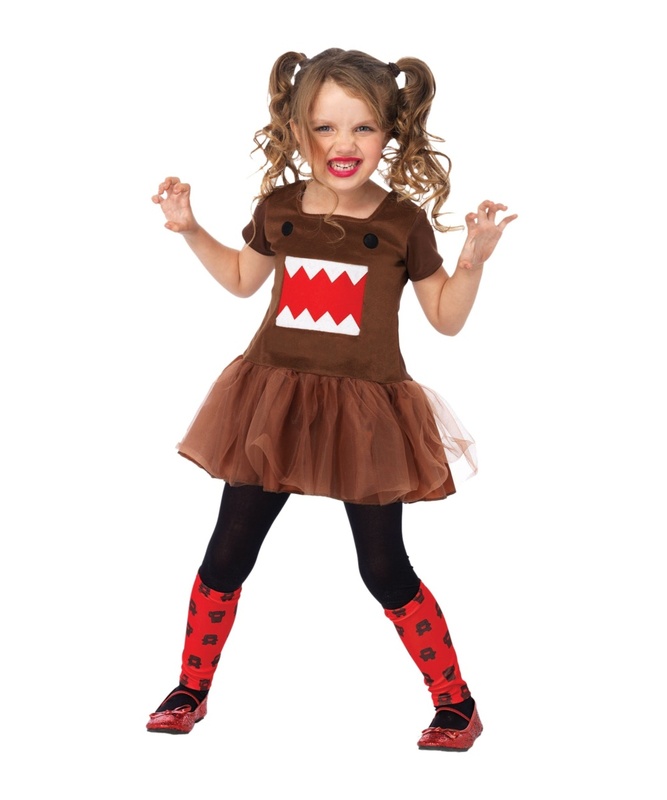 This officially-licensed Domo Girls Costume is available in Child sizes Small (4/6) and Medium (8/10). Costume is 100% polyester fabric. Review(s) for " Domo Tutu Dress Girls Costume"